Encasing your treasures safely against UV, mechanical and environmental damage. Boxes provide a safe and tidy way of grouping and storing related material together on the shelf. Ephemera from between the pages of a book can be removed and contained within a chemise inside the box, thereby avoiding acidic offsetting and strain on the spine of the binding. Boxes can be made with a built-in cradle support. Play the video to see how it works. 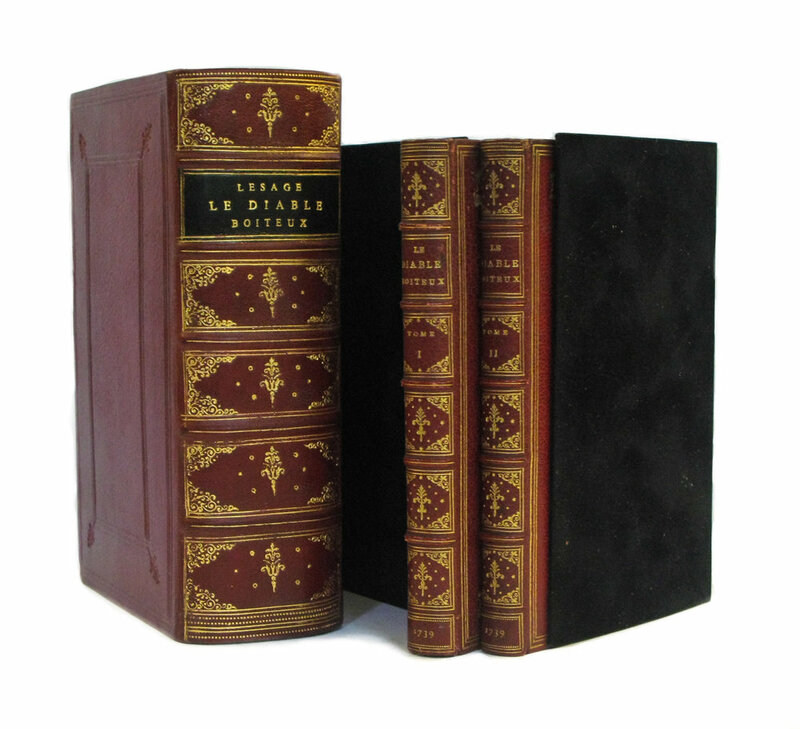 The Bindery specializes in custom-built clamshell boxes and slipcases to house books and ephemera. These boxes can be made to reflect any historical style. 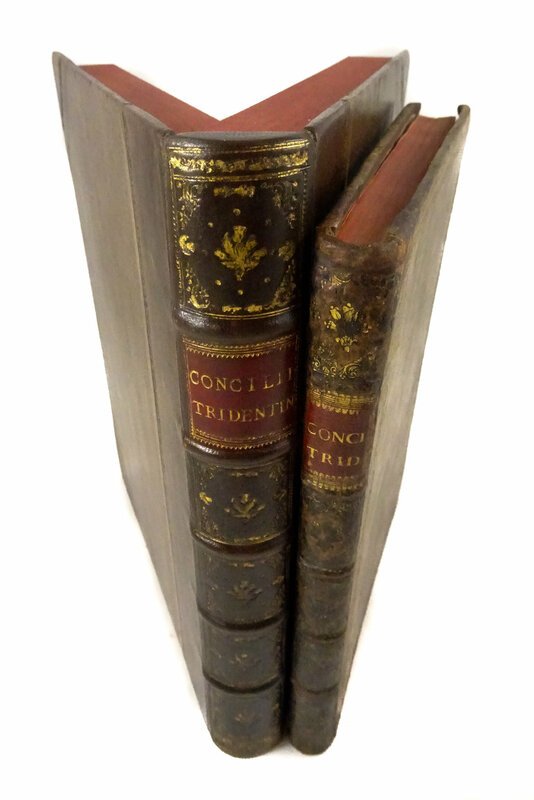 They can even match or compliment the style of the binding to be housed within the box. 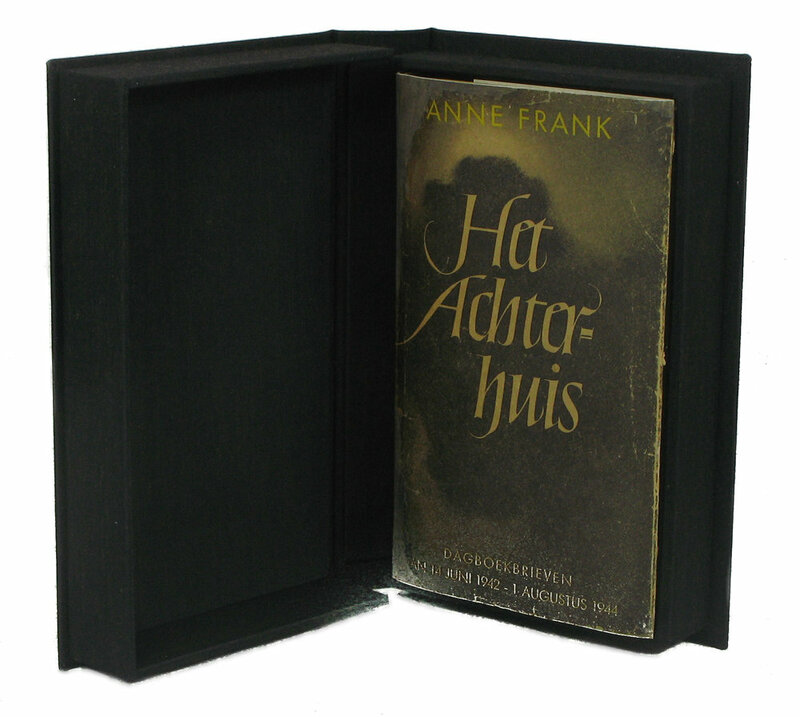 A custom fit protects the book from sliding or bumping within the box as it is moved around. The box provides further protection from dust, light and mechanical damage, and acts as a buffer to changes in the outside environment.